Talk about a fun wedding! A huge thank you to Gabby and Igor for flying us out to Curacao to photograph their stunning beach side wedding. The couple flew all the way from NYC to celebrate with their closest friends and family in this paradise. 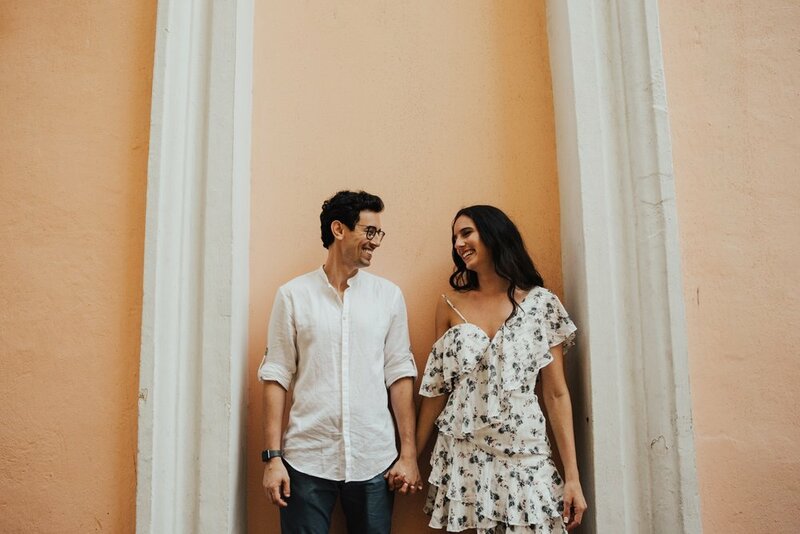 We were lucky to have time to explore the beautiful colorful town of Willemstad, Curacao and managed to sneak a few photos of the happy couple just a few days before they said their I do’s. The wedding day started with lots of fun getting ready moments with their large bridal party. The girls fawned over Gabby’s stunning dress while the guys celebrated with drinks. The gorgeous Curaçao blue waters and cliff landscape made the perfect backdrop for the ceremony. Beautiful flowers created a natural feel as their family joined them under the chuppah. 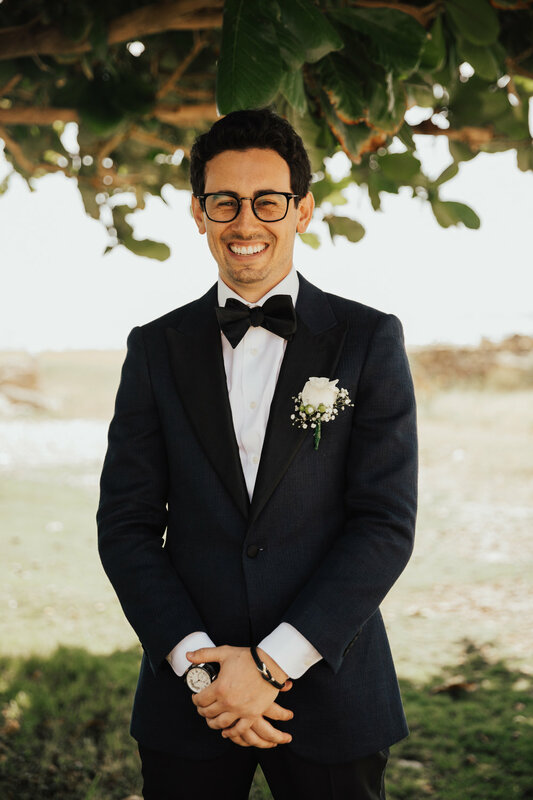 They said their vows under the palm trees while their friends attempted to hold back tears and let out many laughs. They spent cocktail hour enjoying the sunset and once it went down, that’s when the real party started. From flips on the dance floor to a speech set to rap music, this reception was certainly one of a kind. We’ve seen a lot of weddings but never before has every single guest made it to the dance floor! We had such a wonderful day full of laughter, flowing drinks, and dancing. This day couldn’t reflect Gabby & Igor any more perfectly and we were so lucky to be a part of it!